What do I start with? You see, the thing is, only just the other day I had written another letter which is different, very different to the one you are receiving today. You see the other letter, in this infamous letter, I tried to detract away from the negative performances of the squad and looked squarely at the board for a point of concern, worry and anger from fans like me. This letter will still have the same pointedness, but trust me others will get a mention. What you need to understand is that I am a football fan. An AC Milan fan. I have been since the first game I came to watch you which was way back in 1986, before all the glory years that were soon to follow after. And it was difficult being a Milan fan back then. Admittedly I was only four but my memory doesn’t allude me. We were in the sh**. Yep, the proverbial sh**, up that big creek without a substantial paddle. You get the picture. And then came along a man who took charge of the situation. 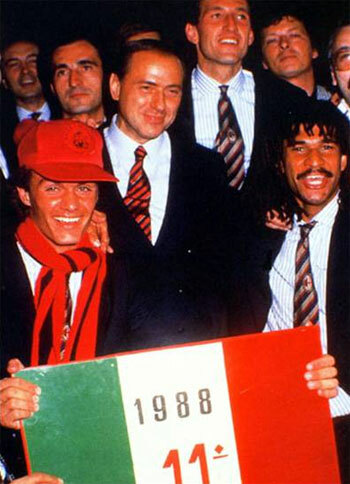 He had a vision, a game plan and the money to substantiate his claims that he would “take Milan to the top of the world”. He delivered, for that I will forever be eternally grateful. We had champions grown in our academy coming through the ranks. Our back four for so many years was the envy of football fans across the globe. We bought the best and most exciting talents that lit the way for so many to wonder where would our streak end in Europe. 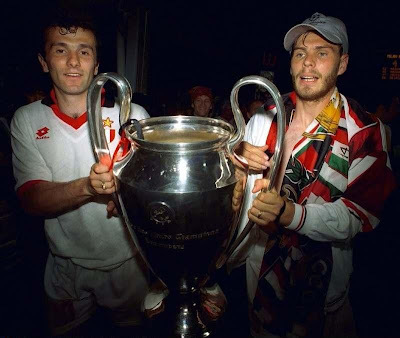 The names: Savicevic, Weah, Boban, Shevchenko, Kaka, and many, many more. We’ve had heroes created by performances on the pitch, a sense of class off it. We were envied, we were admired, we were the team others wanted to play for. When Italy ruled the domestic football scene, we were there, we had to be there. I could sit here and start to write where it all went wrong, but I think you will never listen to a man sitting in an office somewhere in Europe; plus if you can’t see it for yourselves then things are back where we started in 1986, yes, that’s right, in the sh**. Over the years we have seen players go, I don’t deny that players leaving is hard, but what we as a team always managed to do was somehow find a solution and bring in other talents. We of course didn’t get them all right. Need I remind you of the embarrassing Grimi, Viudez, Cardacio. How about Oliveira after Sheva? Or il Puma Emerson or Rivaldo... FLOPS. And how about the talent that we had in our youth ranks that we sold to other clubs, that now for some reason we want back? 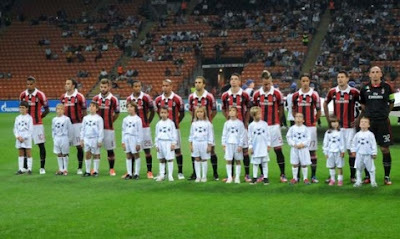 The likes of Matri, Astori or Antonelli? How about the ones we did buy back like Borriello to then let go when he had a better strike record than others on the team? Need I only mention one name that would send shivers down the spine of many, yet most of whom think we’ve dodged a bullet and yet, still to this day I think it was internal politics that saw him struggle, that’s right, Gourcuff. All the potential but stifled in my opinion by the senators. Ah yes, the senators. Ten left in the summer don’t you know. But then again, we all knew that this was going to be the time when they would be leaving, so instead of having the vision to look ahead and do something about it, we waited until there was a complete exodus. Bravo Galliani, bravo. And then we need to talk about today, our current players. Yes, that’s right how about that massive wage bill that we hear so much about. 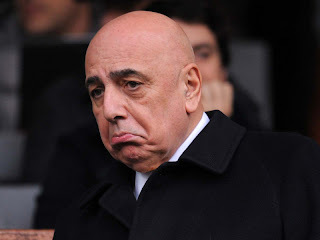 You know, the one line excuse that we give to journalists and fans about why Milan can’t cope with FFP anymore? Come on Milan, you know who I’m talking about... that’s it... Flamini and Mexes, €4 million a season! How is it that within the space of two seasons we’ve gone from potential transfer targets of Fabregas, Ganso, Tevez and even Pastore to the likes of, and will all due respect, to Kevin Costant, Acerbi, Bojan Krkic and so on and so on? I don’t believe I need to point out to you the other big issue in all of this. The missed opportunities of “home-grown” players that would have quite easily fitted in with our football philosophy and saved us money. Do the names Borini, Destro, Verrati and Insigne say anything? How about Santon? There are options, we just don’t take them. And don’t get me started on giving away Merkel, just don’t. I understand that the financial situation is tough, very tough, but with the sale of Ibra and Silva, we had enough in the coffers to buy Tevez, a better defensive line a midfield with more quality. I can’t understand the value in having these players just mentioned; for you will know, results mean more money. It’s a financial misnomer to think that you can achieve the same level with less quality. No business runs this way, you need to take responsibility on this. And now I move onto the squad and coach itself. Tuesday night I saw one of the worst Milan performances in my life. Were Anderlecht out playing us? Can we truly say, hand on heart that they have a superior class of player than what we do? What I saw Tuesday night was a team that had all the capacity to beat Anderlecht, but were demotivated from the first whistle. A team that had no conviction, belief or aggression that is required to beat the opposition. Admittedly us fans, giving them such a hard time probably hasn’t helped; I’m proud to say that before last night I haven’t condemned them, now, the gloves are off. What I also saw was some of the strangest tactics I have ever witnessed. 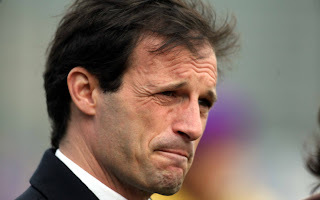 I really don’t want to be giving Allegri more grief than what he deserves, but I have to say I was disappointed. I made a point last night about how it is essential that when you are lacking in certain departments, you do what is necessary to adjust the team to work better. A simple system comprised of simple playing attitude. What we received last night was an Emanuelson so far forward he had a permanent nose bleed. A Boateng who, let’s be honest, is ridiculous; everything he does has to be complicated, not easy, and his passing with the outside of his right boot rather than with his left; sorry but the qualified football coach in me can’t understand that. We had Pazzini getting little to no service. We had Nocerino trying to stir up the squad but to no great effect and so on and so on. All but one player didn’t perform to the standards that we as a club ask for, and that was a 19 year old rookie. Remember that class that I spoke about earlier, it’s nice to see Boateng on the cover of magazines with his girlfriend, it really is, it speaks of today’s footballer society, the one’s that think of fame over performances on the pitch. And so, in the end we had a very contrasting picture. One of Ambrosini barking instructions to what I can only presume petulant players not listening to advice, whilst Allegri stood there, silent. His world must have been caving in, I feel for him. 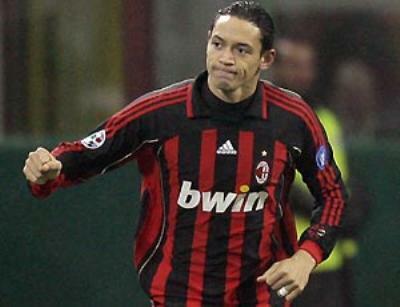 De Sciglio... our only hope? I don’t think there are easy ones. I don’t think that you will do anything to bench Galliani or call off your attack dogs of children, yes I mean you, Marina. I do think you will end up firing Allegri, but be careful what you wish for. This isn’t like the era of Fatih Terim moving over for Ancelotti, at least then we had the squad, or the germination of the squad that went on to lead the way for today; and Ancelotti is one hell of a coach. If this is your game plan, then expect nothing for the next 30 years. Thanks so much, Gino! Feel free to follow Gino on Twitter or visit his blog, My Little Vespa, where he muses on lots of different topics, some of them utterly delicious!